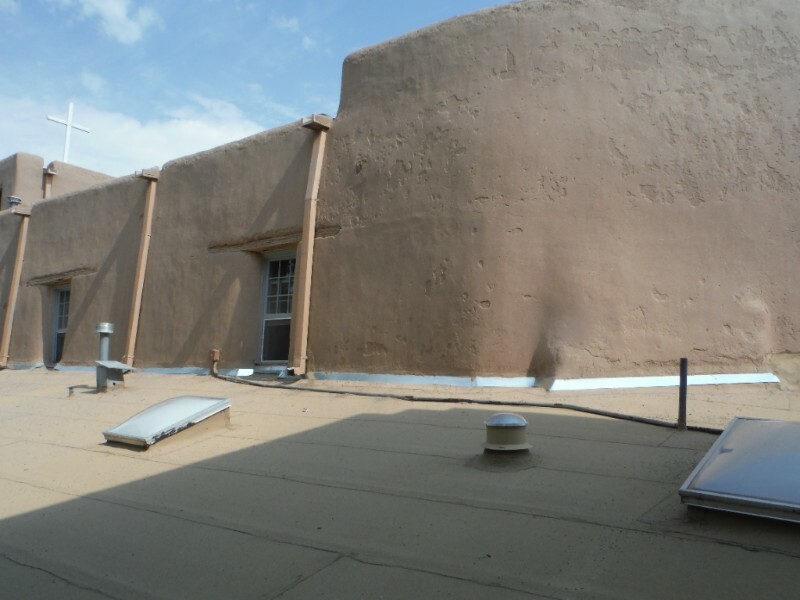 Cornerstones Project Manager, Don Sena, has been busy recently sealing the area above the new flashing on the new roof of the San Miguel gift shop and sacristy. After storms washed out many areas between the exterior wall and the new roof, repairs were needed so flashing could be installed. After repairs and flashing installation, wire mesh was installed to hold the scratch coat (base coat) in place on the upper portion of the flashing. Because of Don’s successful efforts, all areas above the flashing, around windows, behind rundown pipes, and on the parapet above the gift shop have been plastered and sealed. Another coat of mud will be placed on the parapet area above the gift shop to better seal the roof and cover the exposed geo-reinforcing mesh. Many thanks to Don for his commitment to historic preservation! Cornerstones is so appreciative of the many miles Barb travels to capture the magic of work projects. We asked her to share a few of her thoughts and favorite photos. She says, “I want to give you images from the work sites as it’s been incredible to see these developments. One is the transfer of knowledge from old to young. As we know, handing down these work techniques is invaluable to the preservation of these buildings. 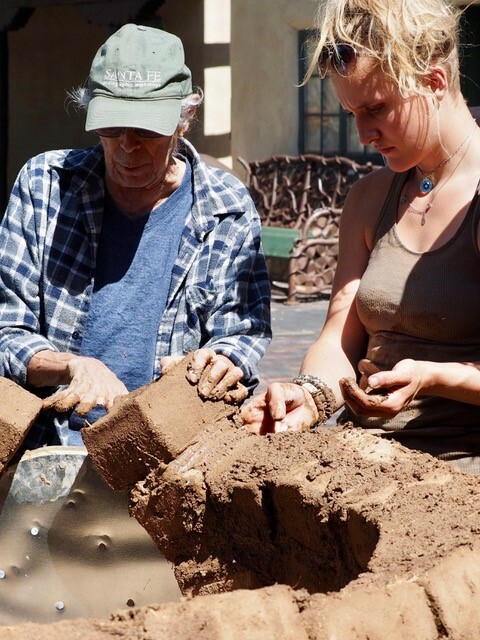 And Cornerstones can make those connections - such as the late Felipe Ortega, who is showing Leanne Fulfer how to build the Horno at the Palace of the Governors in Santa Fe." 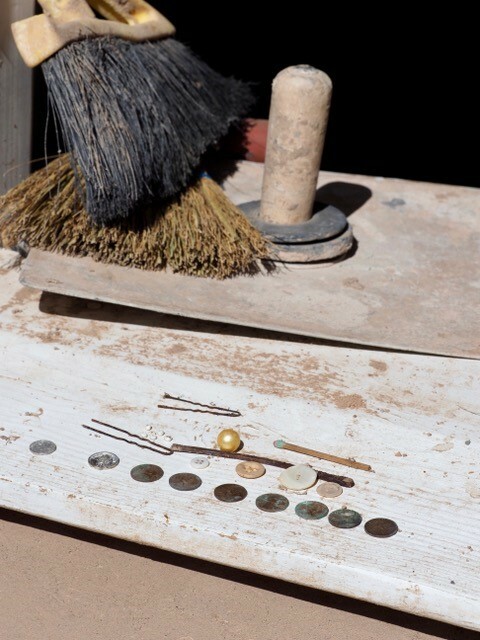 The second photo is from the Plaza del Cerro at Chimayo, showing some of the items found during the excavation of the walls as community members and volunteers got ready to restore them. Many of these found objects were underneath the street side window where there was a space between the boards in the wall section below the sill. “I find it fascinating when we find these items and wonder on their history", Barb says. Many thanks to Barb for capturing and sharing community spirit! Both photos by Barb Odell. The correct room rate for attendees is $79.00 per night.